Bhajji played the last game. Man of the match. Santner plays in place of Bhajji today. Six off the last ball. @msdhoni Have seen you play in the spirit of the game for so long. But with u entering the field fighting for the noball as a batting captain been never heard of. Captain cool lost his cool. @cricketaakash .Play hard play fair. Respect umpires. 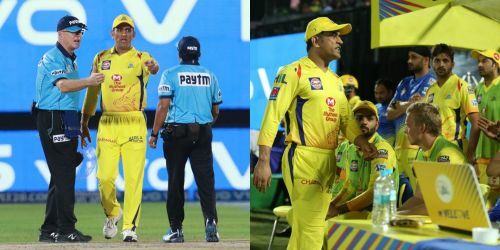 Was MS Dhoni correct by walking in and talking to the umpire? I am not sure but if I'm sure if it was any other player he would have faced criticism. Not cool.